1. Attend a minimum of three (3) CAP Meetings at Anoka. 2. Request your New Member Board. We prefer you use the online system as well as notifying your flight commander, C/2dLt Wayman. 3. Attend your New Member Board. This will be conducted with an Executive Staff Cadet as well as ar Cadet Programs senior member. At the conclusion of your New Member Board, you will be given the New Cadet packet. 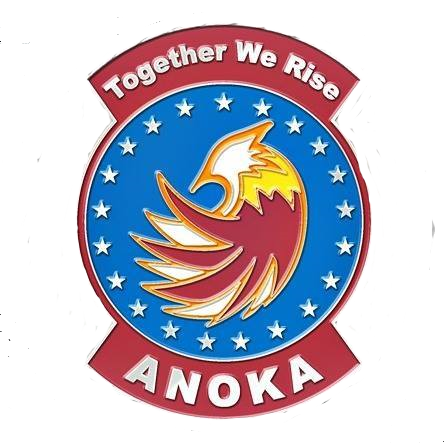 This includes the New Cadet Guide, Anoka Uniform Policy and Anoka Promotion Procedures. 4. Submit your Cadet Membership Application online at http://bitly.com/capmembership. Pay your national dues of $33 online at this time. Your application will sit in a Pending status until identification is reviewed. 5. Bring in a form of government issued ID for review and submit a check for $35 for your squadron dues. Accepted ID forms include copy of birth certificate, social security card, passport, driver’s license, driver’s permit. Once your ID is reviewed, your application will be approved and you will be a member. Note: The online application is submitted instantly and immediately available for approval. 2. Sit down for a new member interview with Capt Wolfgram or Capt Rossini. You must be able to show government issued ID like a birth certificate, social security card, passport, driver’s license, etc. 3. Fill out the Senior Member Application Form and submit for review and commander’s signature. 4. Get your fingerprints on the CAP Fingerprint Card. 5. Submit your signed application and fingerprint card via mail to CAP National Headquarters with your national dues of $65. Submit your squadron dues via check for $35. Note: The senior member application process takes 2-3 weeks for complete at CAP National Headquarters.